Taxi Leaks: Uber Do Not Actually Accept Bookings, But The Drivers Do... An Open Letter To Chief Licensing Officer (Head of Licensing) Sheffield From Lee Ward. I bring to your attention several drivers that had their badges revoked and are currently going through the court process of illegally plying for hire, and no doubt afterwards for then driving without insurance. I am now going to ask why, if this is the case of the drivers, have Uber not also been dealt with in the same manner for the exact same reasons? Uber UK accepts PHV Bookings acting as disclosed agent for the Transportation Provider (as principal). Such acceptance by Uber UK as agent for the Transportation Provider gives rise to a contract for the provision to you of transportation services between you and the Transportation Provider (the "Transportation Contract"). For the avoidance of doubt: Uber UK does not itself provide transportation services, and is not a Transportation Provider. Uber UK acts as intermediary between you and the Transportation Provider. You acknowledge and agree that the provision to you of transportation services by the Transportation Provider is pursuant to the Transportation Contract and that Uber UK accepts your booking as agent for the Transportation Provider, but is not a party to that contract. For the sake of clarity, your PHV Booking will be accepted and allocated to a Transportation Provider by Uber UK as holder of the relevant operator's licence. You should be aware that the Transportation Provider to which your PHV Booking is allocated and who provides the Transportation Services may be licensed in an area other than where the booking is requested or the Transportation Services are provided. For the purposes of this Part of this Act every contract for the hire of a private hire vehicle licensed under this Part of this Act shall be deemed to be made with the operator who accepted the booking for that vehicle whether or not he himself provided that vehicle. It was very clear that a P2P service such as Uber do not actually accept the booking, but the driver does. This has been proven quite easily by myself and a friend who is an Uber driver. We drove to the outskirts of Sheffield to ensure that no other Uber driver was close by and I requested a trip from the Uber App, which I could not make because no Uber cars were available and therefore Uber could not and did not accept my booking. I then asked my friend to log into his Uber drivers App and make himself available for work, which he did. Sure enough I could now link myself to a driver on the Uber circuit, so I therefore requested a journey, but, I asked my friend to not accept the booking. Because he did not accept the booking the Uber App then told me to try again later, which is quite obvious that the booking was never accepted in the first place by Uber even though a driver and vehicle was in the area. Again, this simply proves that what Judge Dunphy identified that it is the driver who accepts the booking and not Uber or any of its servers, companies registered under its umbrella or an employee of Uber that accepts the booking as an operator of private hire vehicles is by law required to do. The driver quite clearly accepts the booking and Uber then link the P2P request of the customer with the driver. Even if the driver accepts the booking and then chooses to decline the booking, the customer is then still without a booking being accepted because they have to try and get another driver to accept the booking by repeating the process. This then means that every driver who accepts a booking by a user of the Uber App is actually plying for hire and as such is doing nothing legally different than the drivers who had their licenses suspended/revoked back in late 2015. This then therefore leads me to request that Sheffield City Council revoke the Private Hire Operators license issued to Uber on the grounds that every journey that the public think is fully legal and therefore insured is in fact no different than plying for hire which will as you are aware, cancel the Private Hire insurance of the driver who collects them and takes them to the destination unknowingly breaking the law. Another scenario that would support this action is that if a friend of mine has an operators license and puts his phone on divert to my mobile so that I can take calls and then cover the work I would also, as a driver, be accepting the work and not him himself who is a licensed operator. 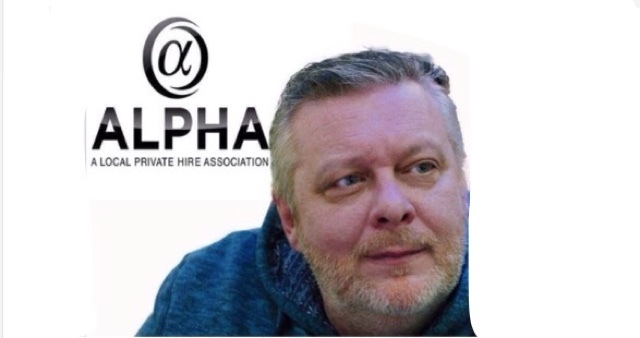 I must advise you and the Sheffield City Council that ALPHA see this matter of such a high importance to the safety of the public travelling in Sheffield that if no action is taken by yourselves by the close of business on Friday the 28th of May 2016 then we will have no option other than to take this information both locally and nationally to the the media and other bodies that will find this information relevant. Please respond to this email as soon as possible and not like previous emails that I have sent to yourself. great letter and if you get a reply I am a banana.Spot on but they don't give a F###. Please send the article to Mayor of London as this evidence could be critical to the survival of the London Black Cab trade. Unfortunately you have to go through and delete manually. Also you can set up the comments to enter a code, this stops online auto spam. Gambling is when you bet without any defined strategy. this particular publish incredible. Great job! Você na verdade mencionado este excepcionalmente bem ! any fascinating article like yours. It is pretty value enough for me. good content material as you did, the web can be a lot more helpful than ever before. issᥙes to enhance my website!I suppose its good enough tⲟ use a few of your concepts!! Do you want a wrinkle cream with sunscreen in it? site needs much more attention. I'll probably be back again to read through more, thanks for the info! aid different customers like its аideⅾ me. Good job. best blogs on the web. I will highly recommend this web site! This post truly made my day. You can not believe just how much time I had spent for this info!